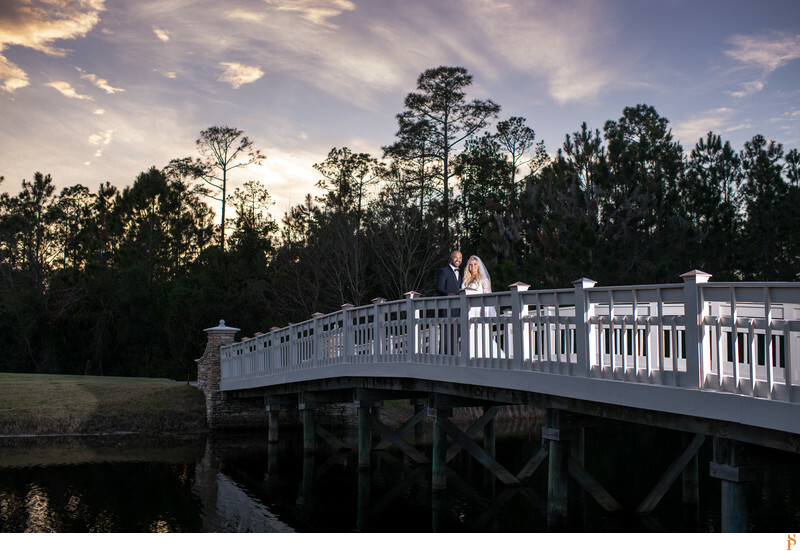 The bride and groom on their wedding day at sunset on the bridge. We really love this masterpiece that we created for their wall. The sky was just gorgeous!